sisters. mac & cheese connoisseurs. 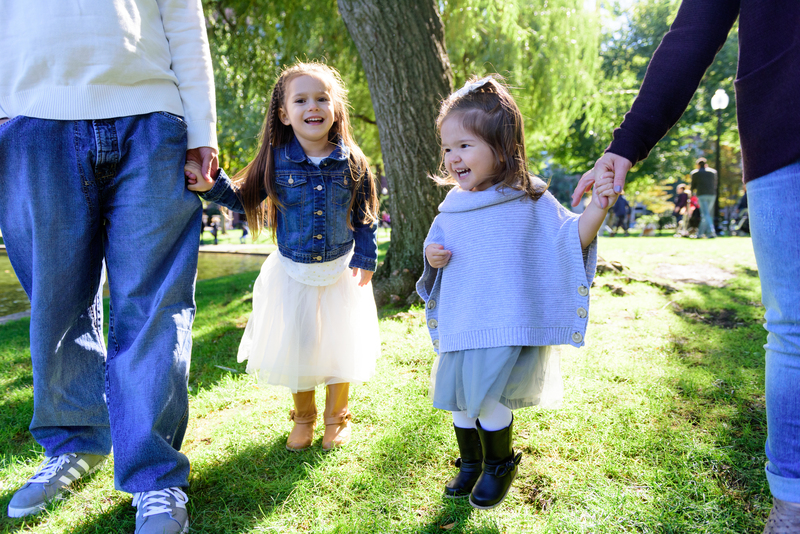 lovers of tutus, playgrounds, and glitter. I know I can’t be the only last-minute Mama out there. 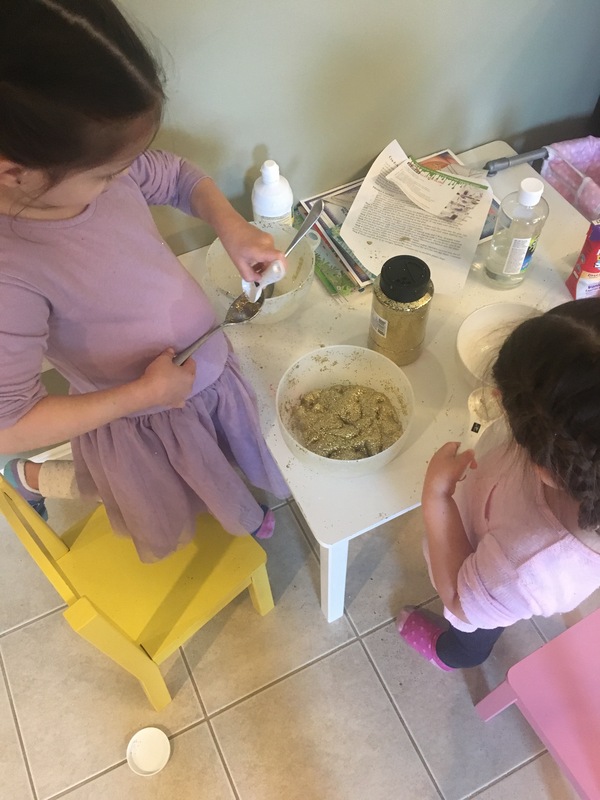 With fewer than 24 hours until Thanksgiving dinner, the girls and I needed a quick, easy, fun treat to make together. We are huge fans of Rolo pretzels, so we thought we’d put a Thanksgiving spin on them after seeing something similar on my Facebook feed. The girls strategically lined the pretzels up neatly on a cookie sheet (and may or may not have snacked a bit). Next, they centered Rolos, small side down, on top of each pretzel. Then, to soften the candies, I put the cookie sheet in the oven at 250 degrees for about 2 minutes. Now we were ready to decorate! Because the Rolos were still soft even after we finished decorating, I transferred all of our masterpieces to a cooling rack and popped it in the fridge for awhile so they would set. Our finished treats? Adorable and delish! 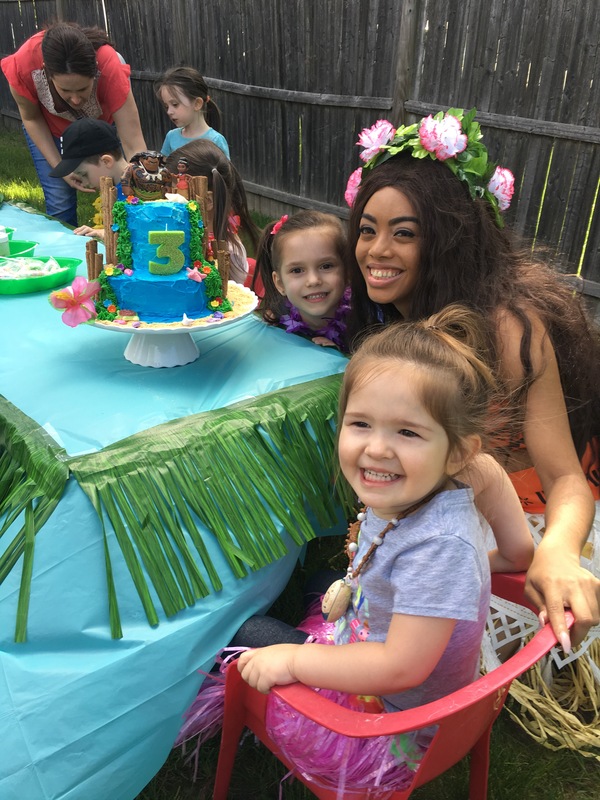 Lauren’s Moana themed 3rd birthday party! 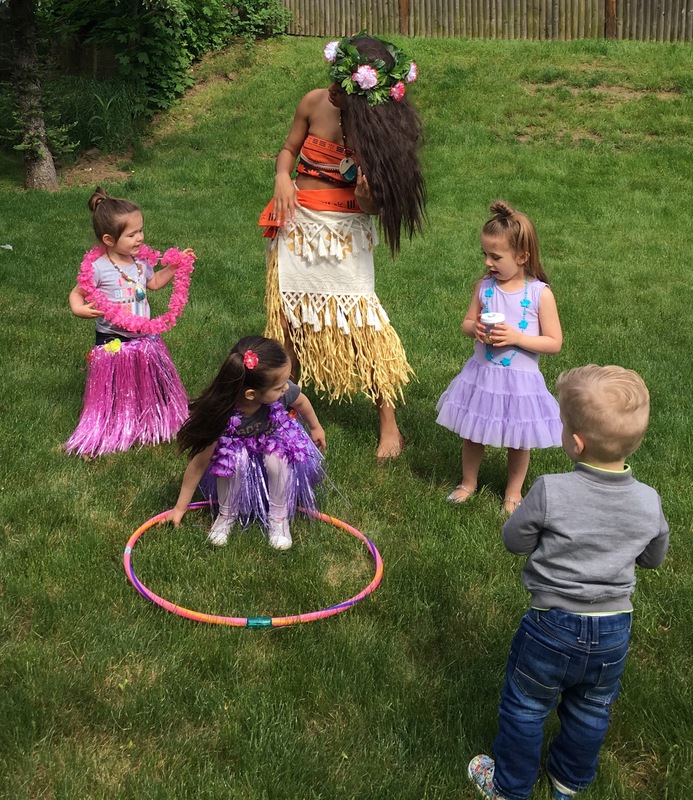 Almost immediately after Lane’s Avaloran Fiesta, the girls started dreaming about an island-themed soiree for Lauren’s third… because it’s all about MOANA! May is always a tricky month in Massachusetts, but this year was particularly unpredictable, with lots of rain and unseasonably cold days. 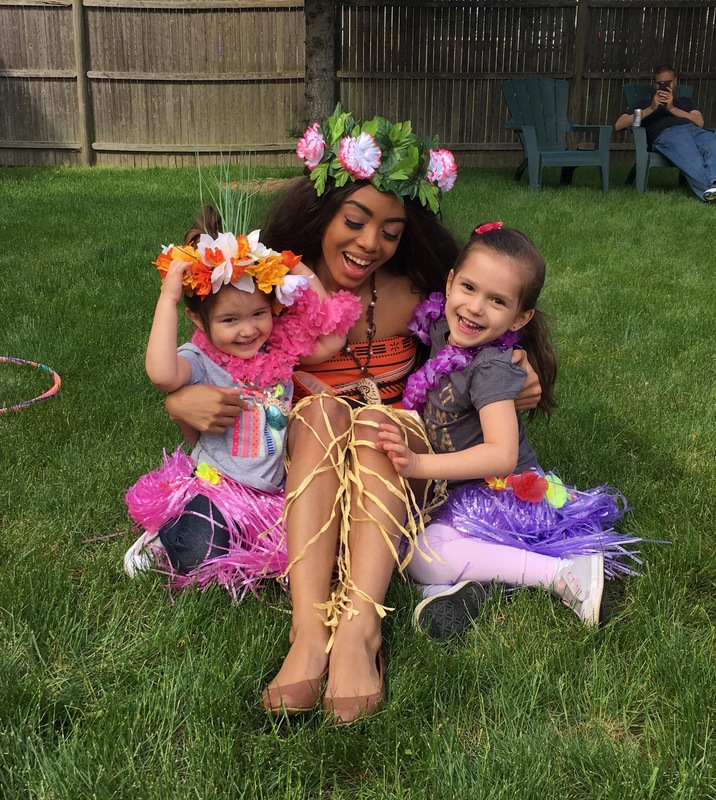 But on the Sunday of Lauren’s party, the sun was shining and the weather was absolutely perfect for a backyard birthday party fit for a princess daughter-of-the-chief. The girls and I had a lot of fun coming up with Motunui Island-inspired food and treats, but of course, the star of the show is always the cake! Lauren spotted something like this on Pinterest (because don’t all 3-year-olds scroll through Pinterest? 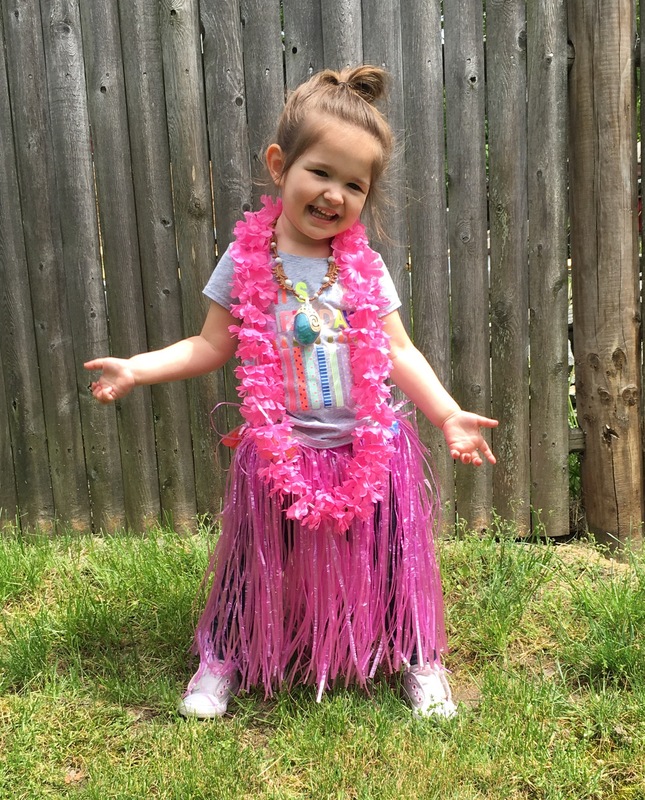 ), and requested that I replicate it for her Moana birthday party. I was a little intimidated at first, but it honestly wasn’t too bad. Stacked round cakes make up the base, and pirouette cookies create the bamboo trim. A little bit of graham cracker crumb “sand” and a few strategically placed tropical candy flowers complete this colorful waterfall cake. I had to resist the urge to overdo it on the embellishments with this one. It was so much fun adding detail, but had I done any more, it would have been too much. Lauren absolutely loved her cake, and while it didn’t come out as perfect as the picture on Pinterest, I was pretty happy with it, too! Note for impatient Mamas like myself: Wait until just before guests start arriving to place the characters on top – especially Maui! That figure is so heavy and his feet are so wide that he wasn’t very secure on the cake. He ended up falling backwards, knocking off some of the cookies, and ruining part of the back of the cake! I was stuck doing damage control the morning of the party – save yourself the stress and just wait! These “Shiny” Tamatoa Shell cupcakes were a huge hit with the kids. The best part is that they are so easy to make. We went with chocolate for the cupcakes, and iced with a simple buttercream. Next, we literally dumped shiny gold sprinkles and candies onto the top before placing fondant “fish hooks” on top. The fish hooks were relatively easy, too, and I’m a fondant novice. I just shaped the hooks with my hands as best as I could, and once the fondant had set, I dipped the tip in melted chocolate. 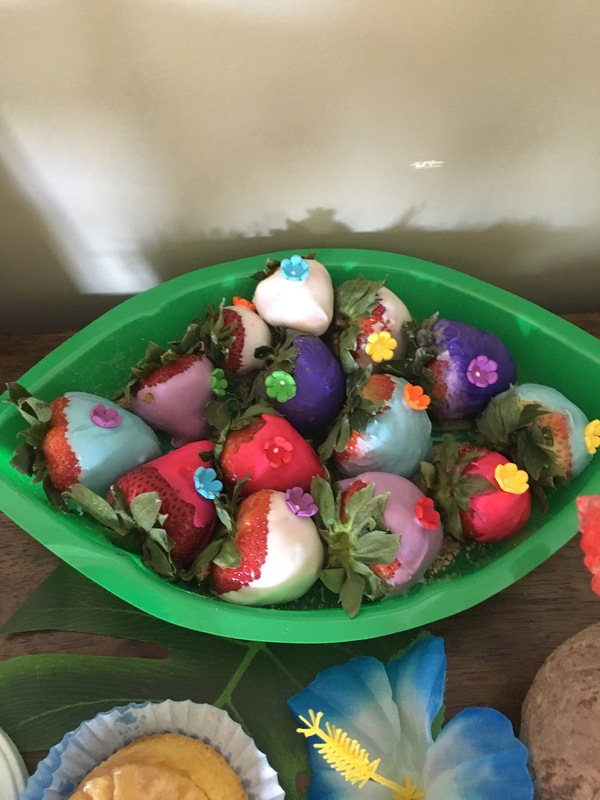 Moana’s world is full of vivid, tropical colors, so we embraced that when making these candy dipped strawberries. We loved these palm leaf serving trays, which we dusted with graham cracker crumb “sand” before filling with these brightly colored, sweet treats. These tropical “flowers” were so tasty, I’ve actually been tempted to make more to snack on since this party! Delish and super easy: place one Wilton candy melt on top of each mini pretzel. Throw a plate of them in the microwave for a couple of seconds, just long enough to melt the candy. Then, place tropical colored M&M’s on top, using the melted candy as a glue to set them. These harden pretty quickly on their own, but I kept mine in the fridge until they were ready to serve. 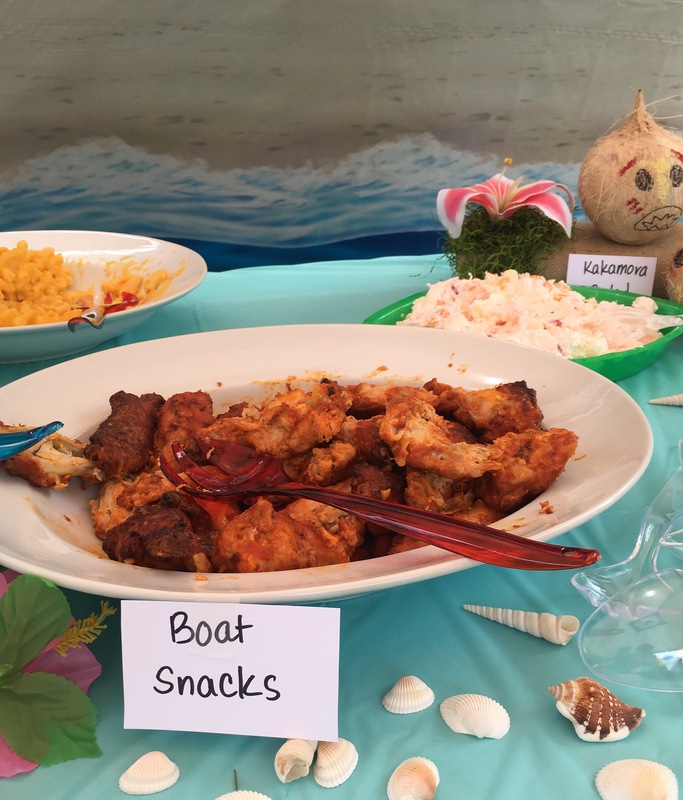 Regular old chicken wings and drumsticks were coined “Boat Snacks,” inspired by Maui’s wise crack that he was going to eat Heihei, Moana’s beloved rooster, on his journey at sea. “Te Fiti Fruit Salad,” “Motunui Meatballs,” which were actually these sweet and sour meatballs, “Moana’s mac and cheese,” and pineapple pizza rounded out our birthday lunch. Cleverly renaming familiar foods is a cute way of staying on-theme without going crazy. 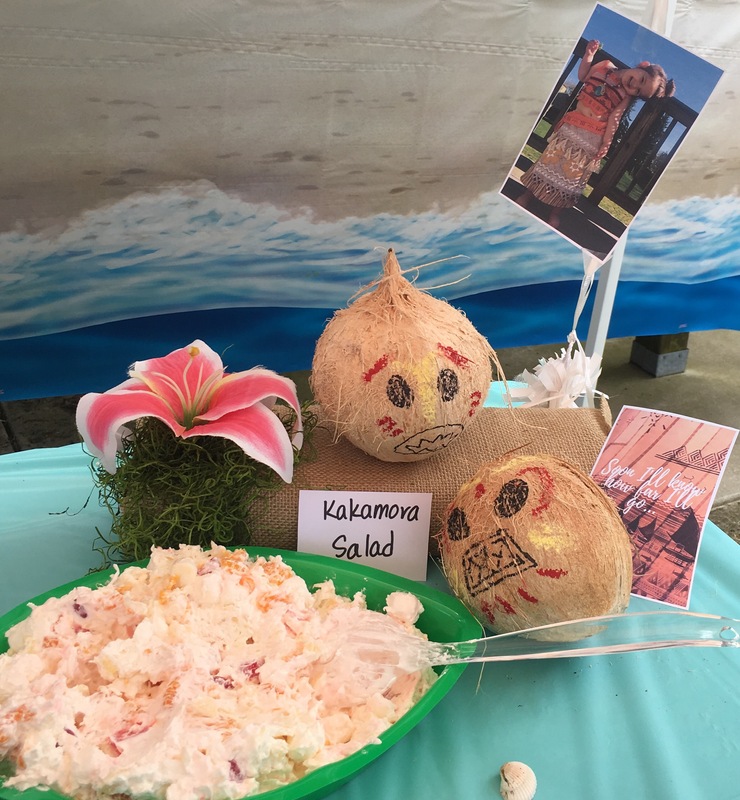 For example, “Kakamora Salad,” named for those coconut-clad pirates that Moana and Maui face on their journey to Te Fiti, is simple Ambrosia. The image above shows our “Heart of Te Fiti sugar cookies,” which are just made from a Pillsbury roll and piped with green icing, blue chocolate dipped pretzels decorated with metallic candy pearls and white chocolate seashells (made using this mold), and these mini pineapple upside-down cakes. Fun touches like paper umbrellas, scattered palm leaves, and fabric flowers create an island feel atop my buffet table. Coconut shells filled with rock candy “coral” add to the tropical feel. We had a little fun with the party favors for this one. The girls are YouTube Kids junkies, so of course they’ve seen the millions of videos of kids making slime. 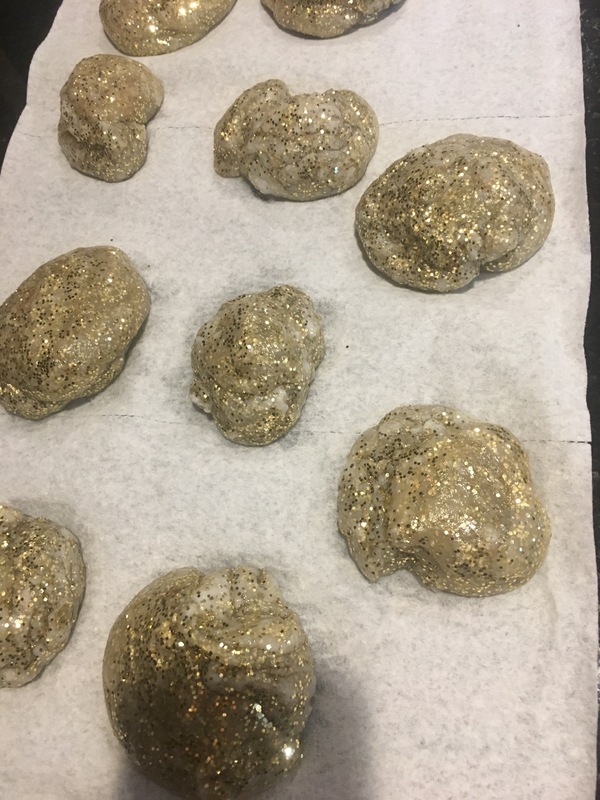 They had been dying to make some, so we decided to try Tamatoa Slime! I’m afraid ours didn’t end up as slimy and soft as it looked in the video, but I’m pretty sure that’s because we altered the recipe a bit and replaced Borax (I’ve been hearing that using this can burn little ones’ hands) with baking soda and contact lens solution (a recipe we saw at our local Michael’s store). We did download the free printable for the tops of the containers, and the end product looked pretty cool and slimy as you can see below, but I’m not sure how much use this stuff actually got. We tried! We also sent kids home with a Heart of Te Fiti lollipop, so at least we couldn’t go wrong there. 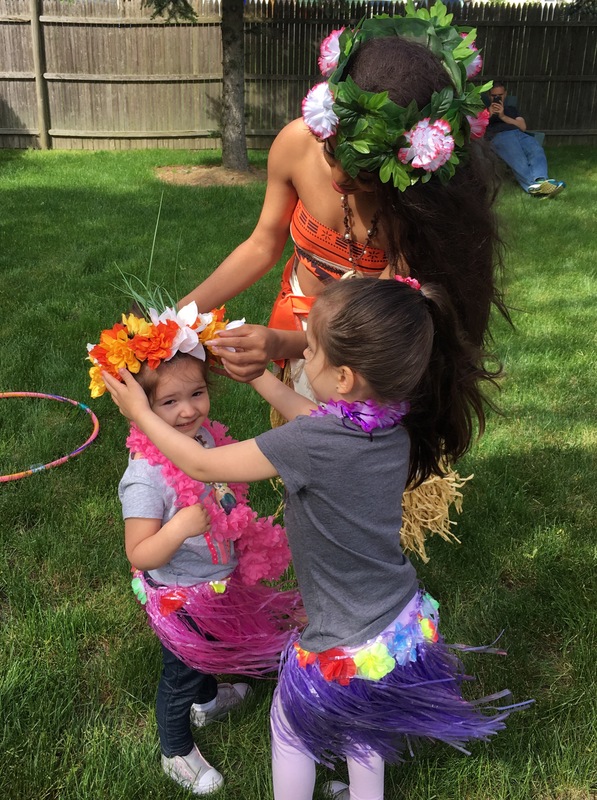 Kids were also given grass skirts and leis to wear for the party and take home with them. Planning the decor for this party was unbelievably easy, thanks for Party City and Amazon. A quick search for “luau party decor” revealed so many fantastic ideas, and we used Pinterest and our imaginations for the rest. We decorated with lots of fish net, fabric flowers, scattered seashells, palm leaves, and grass skirting for entryways and around tables. We stuck with blues and greens for table covers, and bright, colorful balloons for centerpieces. Regrettably, I forgot to take pictures of that stuff because I was wrapped up in guests arriving and last minute details (that stupid Maui figure falling off the cake!). Once the party started, I really wanted to be in the moment with my birthday girl and the kids as much as possible and not stress about about documenting every detail. I’m new to this blogging thing, so that’s something I will probably struggle with. On that same note, I have started to relax a little with my perceptions of perfection for these parties. I have learned and I’m OK with the fact that I just can’t do all the things. For example, it’s slightly killing me that the food tags are plain – I had big plans to print out and cut tags shaped like Moana’s boat and write on those, but I simply had to let some things go. Being a mom, wife, working, sleeping (barely) – it has to come first. There are only so many hours in the day. All the preparation was so much fun and so worth it to see the birthday girl so happy. 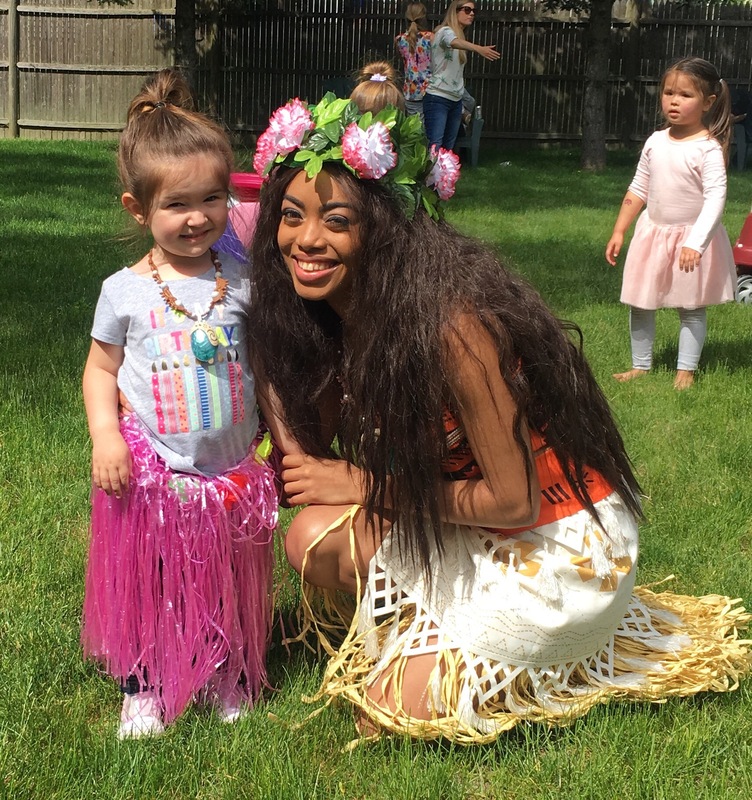 And since Elena made an appearance at Lane’s party, it was only right we invite Moana to Lauren’s. She could not have been happier when Moana presented with her a flower crown and named her an honorary Chief should she ever visit Motunui. 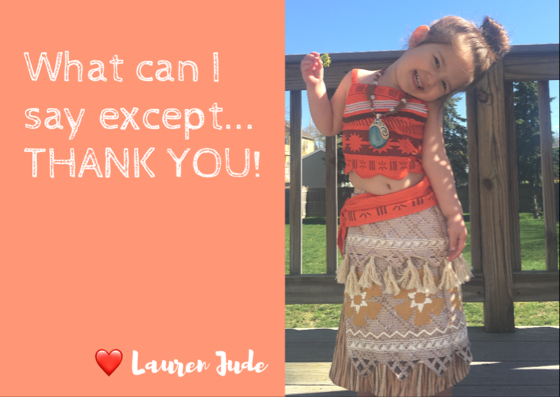 Finally, a homemade printable thank you card featuring the birthday girl herself, all dolled up in her Moana costume. I used the Canva app to make this myself! Lauren smiled all day and reported this to be her “best birthday ever,” so I would call this party a success! 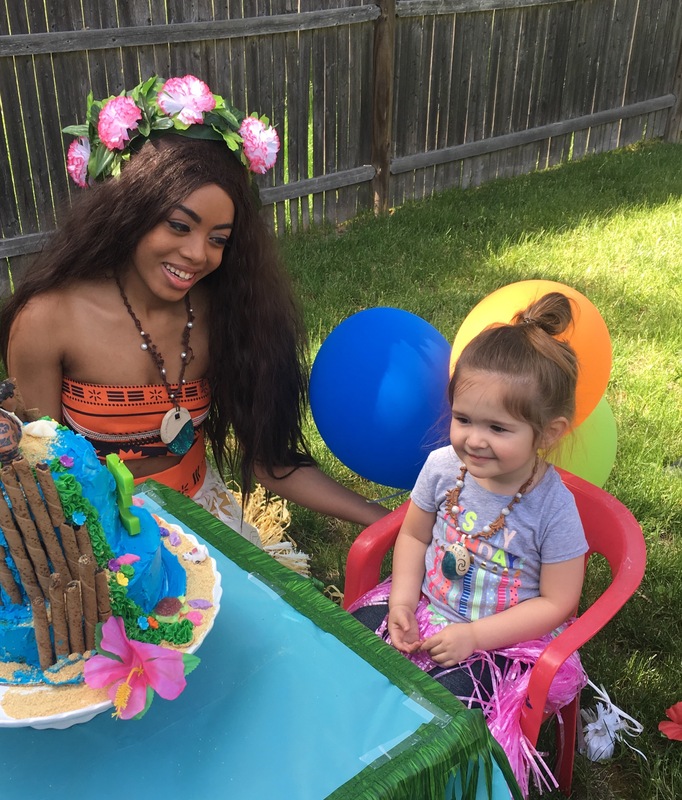 Be sure to pin and share these ideas if you’re inspired to plan a Moana themed party of your own! We’d love to hear your comments and see any recreations or ideas of your own! It’s been a couple of weeks since Lane’s 5th birthday celebration, and as excited as I have been to share allllll the deets of what was a super-fun party, I feel like we are just now coming up for air! The cake. Oh, the cake. Try as I may have to get her to choose a simpler cake, Lane spotted an Elena doll cake on Pinterest and had to have it. (What? Your 5 year old isn’t into Pinterest?) Now, I had made one other doll cake in my time (the Merida cake from last year’s fete), so I thought this would be fairly painless. Not this time. Turns out, the Elena doll is taller than the other princess dolls (&*%$! ), so the pan I used didn’t create a deep enough cake to cover her up to her waist. I was short for time and ended up at the grocery store buying a pre-made cake, scraping off all the frosting and decorations, and sticking it to the bottom of my homemade cake, to add height. Once I did that, I re-frosted and attempted a fondant dress. It looks pretty good from the front, but I promise you, the back was a mess unimpressive. I did my best, and Lane was delighted with it, as were her little party guests. Now I’m praying that Lauren doesn’t want a doll cake come May. I don’t know if I can handle the pressure! The dessert table, to me, is always the star of the party (aside from the birthday girl, of course! ), so I was sure to stock Lane’s with yummy Avalor-inspired sweets, such as candy scepters (these were a huge hit with the kids and are so easy to make – Lane and Lauren helped: marshmallows + candy melts + blue crystal sprinkles), cupcakes topped with Elena and Isabel cutouts, chocolate dipped pretzels, and candy that fit with the red, blue, and yellow motif. Avaloran chocolate was a must for Lane, but since we couldn’t figure out how to make or get the authentic stuff (Hello?! Can we get on board with an Elena of Avalor cookbook?! ), we went with chocolate coins (U.S. currency only at Party City, no Avaloran money – don’t tell Lane). A hanging sombrero, yellow floral garland, and a DIY Feliz Cumpleaños banner completed the look. For food and non-dessert snacks, I really wanted to stick with the Avaloran theme as closely as possible. Cue Charoca‘s Chili (an easy recipe I adapted from the South Beach diet years ago: ground turkey, black beans, corn, brown rice, kidney beans, diced tomatoes, onion, and chili mix), pan dulce (sweet bread – bakery bought, because I can’t do all the things), Jaquin snacks (Lane and I googled: jaquins are part macaw parrot and part jaguar, so they are omnivores… we went with fruit salad for this one, even though Lane said she saw a jaquin eating a chicken leg once), Arroz de la Abuela (Spanish rice), Avaloran Ambrosia, ensalada, and of course, chips and salsa, served in a sombrero! But all the food and decorations in the world couldn’t compete with a surprise visit from Elena! We had the Elena of Avalor soundtrack pumping, and the kids had an absolute blast dancing, chatting, and taking photos with Elena. Storytime, a piñata, and a coronation ceremony for Lane was the cherry on top for this birthday girl! On their way out, Lane gave each of her friends a personalized bag filled with Elena-inspired goodies such as rings, pencils, mini maracas, and noisemakers. This was one of my favorite parties yet, and of course, the most important thing is that Lane had an amazingly memorable birthday! Be sure to share and pin ideas if you’re inspired to plan your own Avaloran fiesta!